Kahn is back to its best on the RS250 Evoque. A. Kahn Design has returned with yet another aftermarket program based on a Land Rover Range Rover. The sporty four-door Evoque has been redesigned both internally and externally for a bold new look that only Afzal Kahn and crew could come up with. 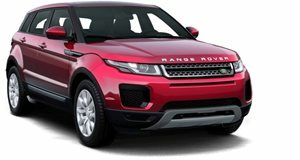 Titled the Dark Tungsten RS250 Evoque, the project begins with an exterior styling package that is as thorough as it is unique. The front-end has been heavily modified, with a new front bumper complete with a lower chin spoiler and two large air-inlets with mesh grille inserts for both the upper and lower parts of the bumper and hood. The Brits have also added copper highlights both under the side vents and headlights for an even more pronounced look. The rear of the Evoque incorporates a new bumper with diffuser and integrated center-mounted dual stainless-steel exhaust tips. A lip spoiler has been added below the rear glass and a second spoiler has been affixed above the trunk-lid. The entire project, finished in Dark Tungsten paint, is set off nicely by a set of huge 22-inch Kahn wheels which measure 9-inches wide. Moving on to the interior, Kahn has added leather everywhere, with diamond-quilted stitching and Alcantara inserts on the seats while the dashboard is covered in Alcantara. Carbon fiber has been used for the center console while new pedals and an illuminated-in-red gauge cluster has been included as well. A. Kahn Design will be showing off their wares next weekend at the Hampshire Car Fest. The Dark Tungsten RS250 Evoque will be on display as the centerpiece of their lineup.